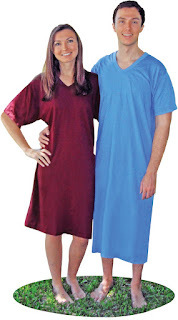 T-shirt nightgowns or nightshirts have a wide range of availability: long sleeves, short sleeves, crew neck, v-neck, and three-quarter length sleeves are among the options. The nightshirts are made of cotton that is premium quality. 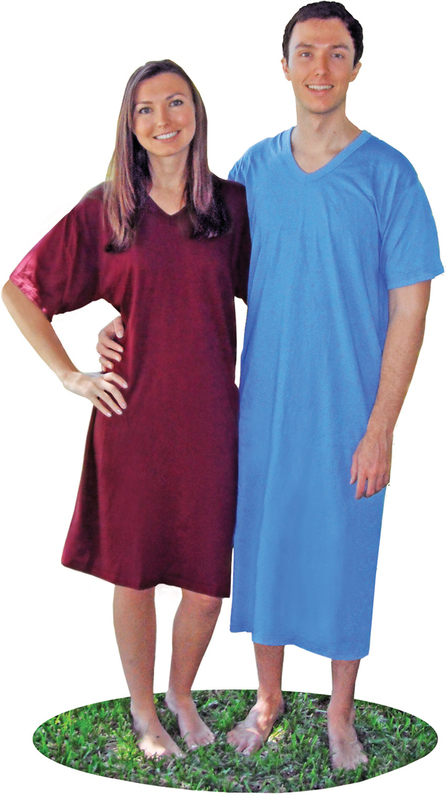 The nightshirts are available in many colors. The Summer and Tee-PJ nightshirts have no side seams and offer comfort and will offer you a "better way to sleep". This slogan of Wittmann Textiles Company has meant that you will be so comfortable, you will feel like you are sleeping in nothing at all. The Woven Henley and Knit Henley nightshirts offer slits running down each side to help with mobility while wearing the nightshirt and a left breast pocket for a tissue or cell phone. If you need a pocket on Tee-PJ nightshirts, Wittmann Textiles Company will provide pocket material upon request so that you can place them where you would prefer. Nightshirts come in many lengths from the Funny Ladies Hatley nightshirts with funny sayings in 38 inch lengths, Tee-PJ and Summer nightshirts in either 45 or 55 inch lengths, Flannel Nightshirts in 50 inch lengths, and Ladies Flannel Nightgowns that are 47 to 53 inch lengths. Nightshirts can be personalized such as being able to put stripes on the sleeves to parody a sports jersey, putting on initials or names, or using fabric paints to make a design or put on a names. A variety of sleeve lengths and an array of sizes from Small to 6X-Large in some styles make this the perfect gift or lounging sleepwear. The Tee-PJ nightshirts have been made here in the USA since 1955 by the same people.